It has been a crazy qualifying session in New York City: While Sebastien Buemi put his Renault e.dams on pole-position ahead of Mitch Evans and Jerome d’Ambrosio, things got really bad for the championship contenders Sam Bird and Jean-Eric Vergne. Save the best for last? Not in Formula E’s group qualifying. 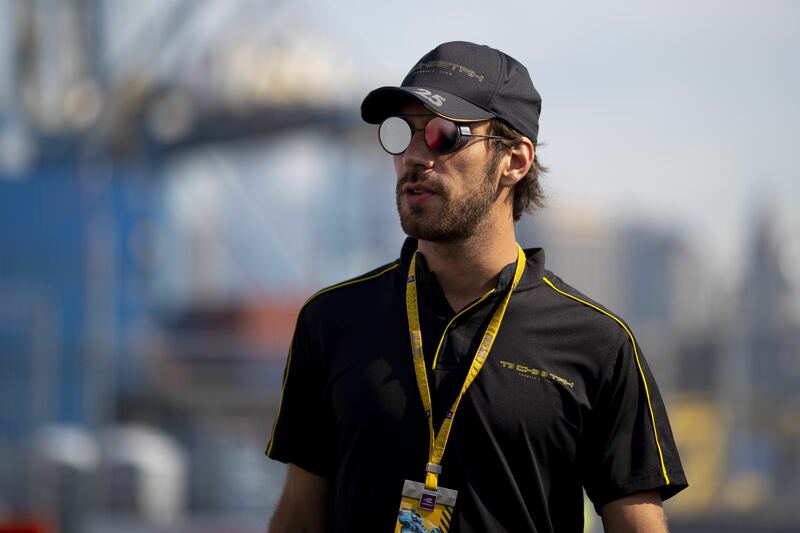 The five best-ranked drivers in the championship, namely Jean-Eric Vergne, Sam Bird, Lucas di Grassi, Sebastien Buemi and Felix Rosenqvist, headed out onto the extremely dusty and challenging New York City track first. And things heated up quickly as Vergne and Buemi nearly collided when battling out who would start their qualifying run first. In the end, it was Vergne who went fastest with a 1:13.890 ahead of Buemi and di Grassi while Vergne’s championship rival Bird could only put his car on a provisional fourth place. 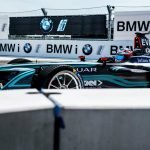 Bad news for NIO Formula E’s Oliver Turvey: After hitting the wall in FP2, the Brit was forced to miss qualifying as he seemingly broke a bone in his hand in the accident. All eyes were on Mitch Evans who has been one of the strongest drivers so far today, and the Panasonic Jaguar Racing driver delivered once again as he secured a provisional second place. Teammate Nelson Piquet JR meanwhile kicked Bird out of Super Pole but the Brit should drop even more. Following Evans and Piquet JR, Abt and Lotterer also managed to secure positions within the provisional Top-5, meaning Bird’s best-case scenario would suddenly be starting P8. Nick Heidfeld, Jerome d’Ambrosio, Maro Engel, Antonio Felix da Costa and Alex Lynn started the second half of the group-phase of the qualification. D’Ambrosio, who showed a strong performance in the second free practice session, was able to create some happy faces in the DRAGON garage as he secured a solid fifth place and could hope for an appearance in Super Pole – as the only driver of the third group as the others did not manage to challenge for adequate lap times. With Sam Bird down in P13 and Jean-Eric Vergne still leading the pack when it was time for the fourth and final group to head out, the question was: how much further was the Brit going to drop? The fourth group quickly turned into the most eventful one as Stephane Sarrazin hit the wall – which did not slow down his competitors though. Nicolas Prost jumped up to P5 and Jose-Maria Lopez and Tom Dillmann both managed the jump into the top-ten. Good news for Sam Bird: Both TECHEETAH drivers were forcibly dropped to the end of the grid, as their lap times were cancelled due to an over-use of power. Thus, Abt, Evans, d’Ambrosio, Buemi and Prost were the five drivers who would fight for the best starting position for today’s race. Buemi quickly established himself as the man to beat as he went much quicker than teammate Prost and d’Ambrosio. But Evans and Abt were still to come – and both of them failed to match the Swiss’ time. So Buemi will head into the first of two NYC races on pole-position ahead of Evans and Prost.